1. Stir in the flour and ground almonds together in a large bowl, then add the butter and rub in your fingertips until the mixture looks like crumbs. Stir in the sugar. 2. Break in the egg and work into the mixture with your fingers, breaking it together to form a soft dough. 3. Tip the dough onto a lightly floured work surface and shape it into a ball. Flatten with your fingers to a disc and wrap in cling film. Chill for at least 3 hours before using. 4. roll out into either 1 large tart case or 12 tartlet cases, place a piece of grease proof paper on the pastry followed by baking beans and cook at 180c for 20 mins till nice and golden. 1. bring the maple syrup to the boil in a pan and simmer for 10 minutes. Take off the heat and add the butter and cream and combine. Add the chestnut puree, salt and the hazelnuts then pour into the tart cases. 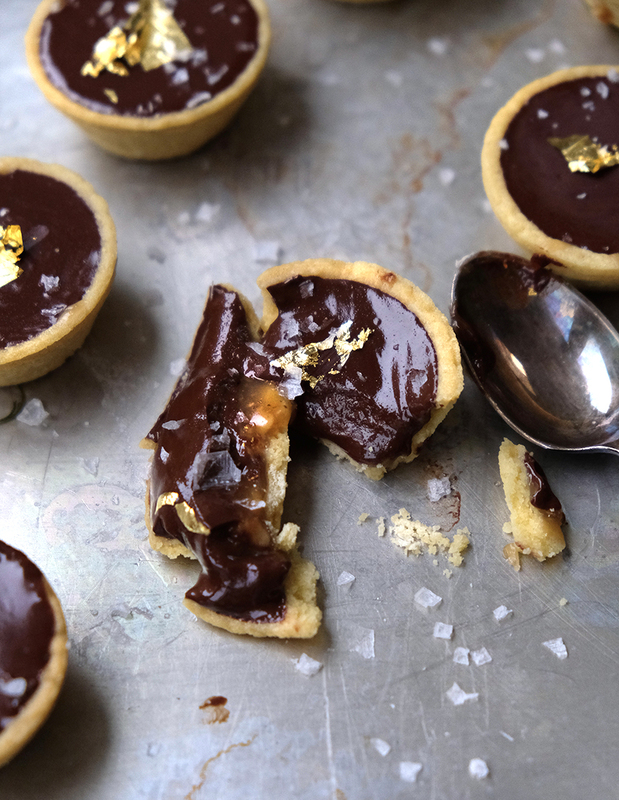 2. melt together the chocolate and the coconut then pour into the tart cases to cover the caramel. leave to set in the fridge for an hour.